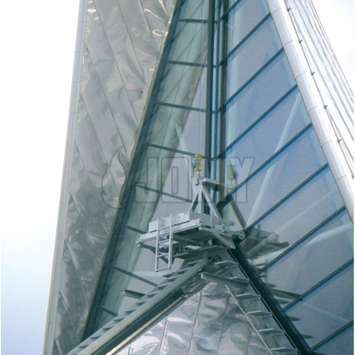 Our mobile access systems are the ideal solution for safely accessing the facade of your building for cleaning or maintenance purposes. 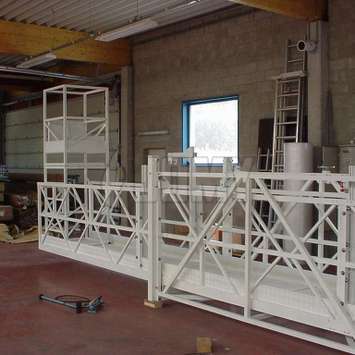 All the facade access systems can be customized to the specific requirements of your workers and the facade of your building. 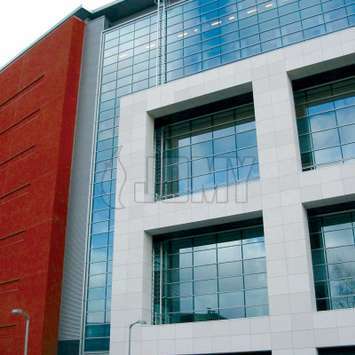 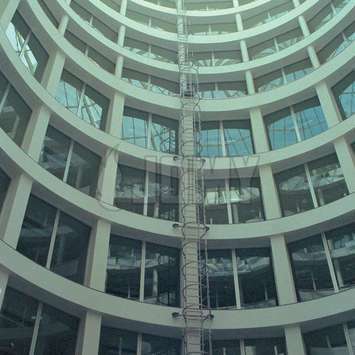 JOMY mobile access systems are the ideal solution to reach your façades how complex shaped and how high they are. 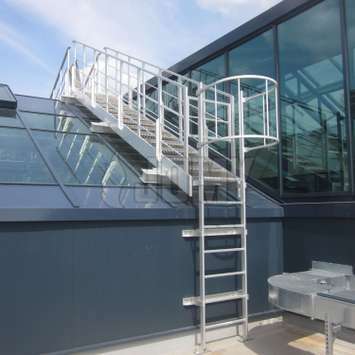 All of JOMY façade access systems can be customized to the specific requirements of the façade of your building and workers. 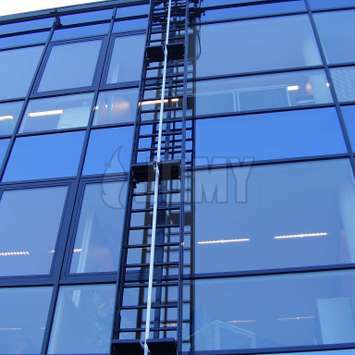 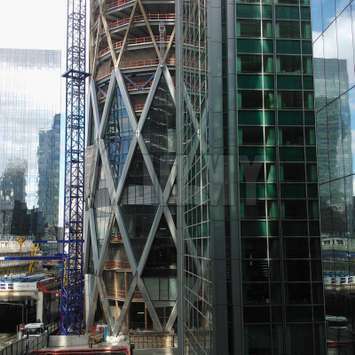 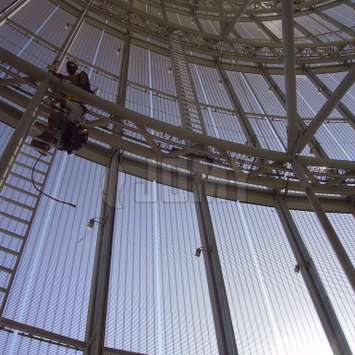 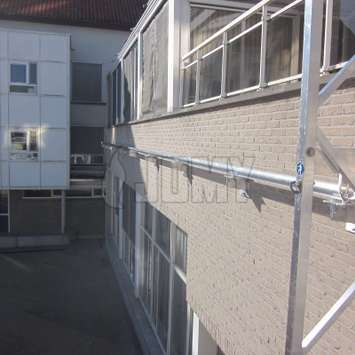 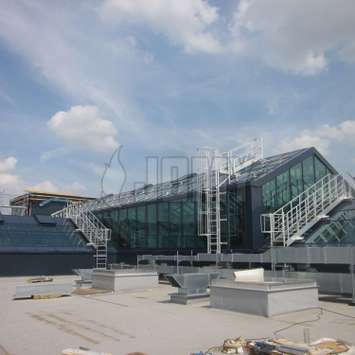 JOMY offers a wide range of standard gantry systems and mobile ladders for safe façade access. 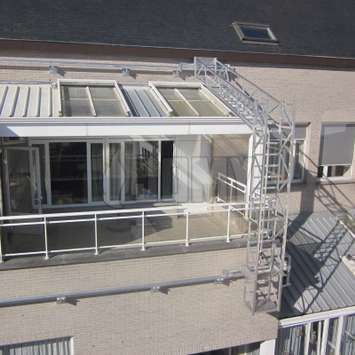 JOMY offers the possibility to customize all products in accordance with the specific requirements of your façade to guarantee a safe and easy access. 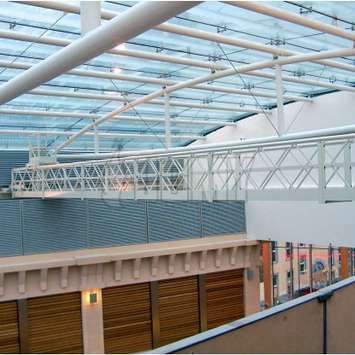 JOMY typically propose one or more designs, using JOMY experience to ensure that the designs are practical and provide the desired ease of use. 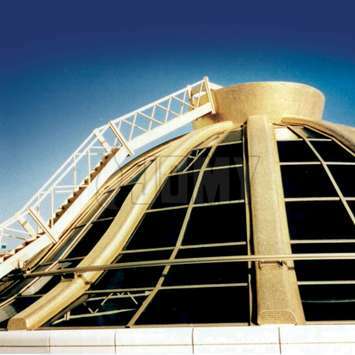 You don't have to worry about the aesthetic effect on your building, because JOMY constructions are all perfectly integrated into your façade by shape and color. 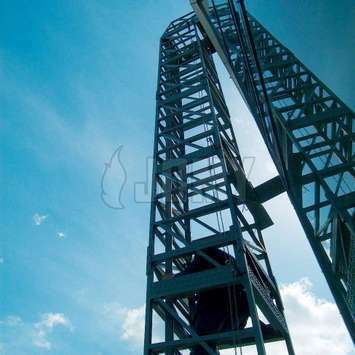 A wide range of options is available to adapt the mobile construction to your specific wishes. 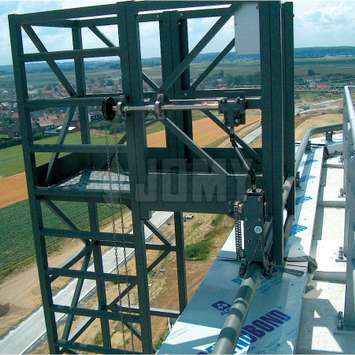 All JOMY mobile access systems are manufactured according the standard requirements of EN 1808. 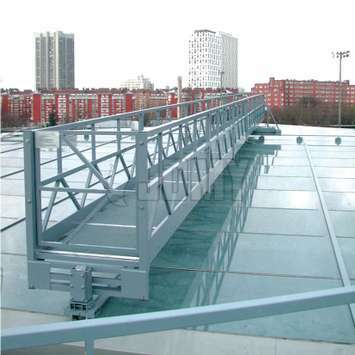 This standard specifies the safety requirements for Suspended Access Equipment (SAE). 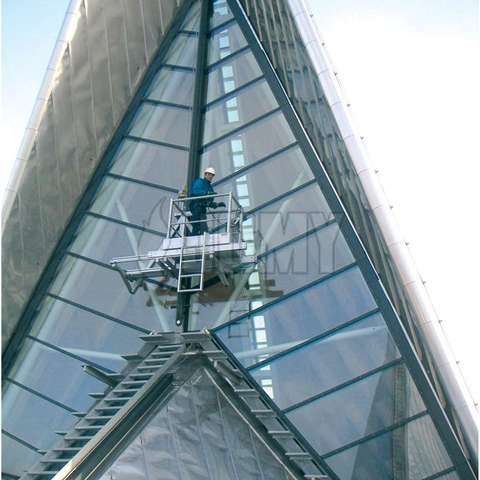 It is applicable to permanent and temporary equipment which may be powered or hand-operated. 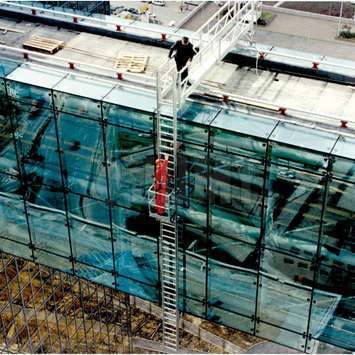 This European Standard describes technical measures to eliminate or reduce risks arising from significant hazards.